Tribus Solvo ritual in function and performance is a confluence of different traditions and methodologies as a reflection of it's members. We are not meant as a group to supplant personal beliefs and methods of worship, but as a supplement to personal work and to share in ecstatic worship as a community. This is not a Wiccan group, however, there are Wiccan's in the group. Esbats are open to the public generally and are usually held in a public location, as they are public celebrations of the turning of the Wheel of the Year. Full moon and other celebrations are more private and will be held in more private locations and are more occasions for energy work and for personal development. The officiant structure for Tribus Solvo rituals are Priestess, Priest, Protector, Handmaiden and Summoner. Air, Fire, Water, Earth and Spirit are called. 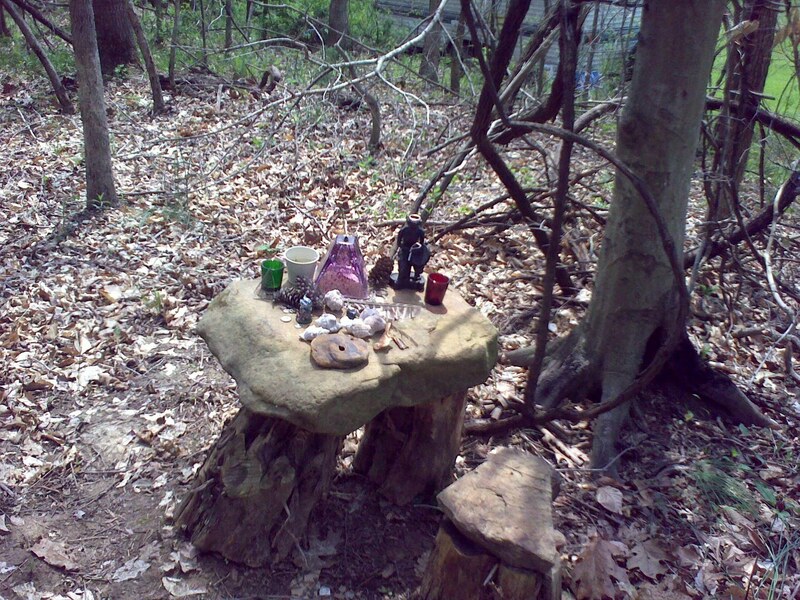 Elemental representation as well as Totem's that signify or align with that invocation may also be invited. All invocations are done clockwise, all devocations are done in reverse, or counter-clockwise. There is no requirement of ritual garb, though there is an encouragement to wear clothes made of natural fibers. This is *not* a skyclad tradition. Devocation of that which was invoked.